Clean TeQ’s new resource estimate for its Syerston project shows a 63-percent increase in contained scandium and a 16-percent increase in contained cobalt. The latest resource estimate for Clean TeQ Holdings’ (ASX:CLQ) Syerston project shows a 63-percent increase in contained scandium and a 16-percent increase in contained cobalt. The project now holds an estimated 19,222 tonnes of scandium, 132,000 tonnes of cobalt and 593,000 tonnes of nickel. Syerston’s cobalt grade has increased by 30 percent compared to a 2016 prefeasibility study, and it also boasts an estimated platinum resource of 1.1 million ounces. Clean TeQ Managing Director Sam Riggall said the company decided to update Syerston’s resource estimate in order to demonstrate and confirm the significant upside that exists for cobalt production. “Previous studies have focused almost exclusively on nickel, with little appreciation of the value represented by the inherent variability of cobalt grades,” he explained. 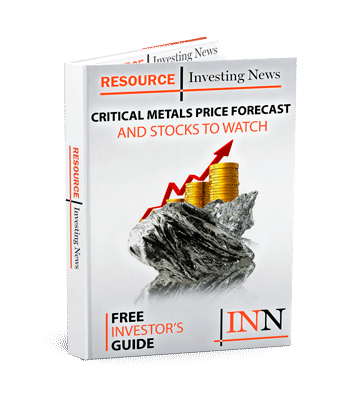 The company says the resource estimate, released on Monday (October 9), confirms that New South Wales-based Syerston is one the world’s largest and highest-grade sources of cobalt outside Africa. Cobalt is valued for its role in lithium-ion batteries, which power electric vehicles. “Clean TeQ is positioned to become a globally significant supplier to the rapidly expanding lithium-ion battery industry,” said Co-Chairman Jiang Zhaobai in the firm’s 2017 annual report to shareholders. Dr. Andrew Matheson, president of OnG Commodities, recently explained that scandium-containing aluminum alloys can deliver in the range of $9 million in NPV savings to airline operators for every mid-body airliner. He attributes the savings to the metal’s ability to eliminate the use of rivets in aircraft, which reduces weight by 15 to 20 percent and leads to comparable fuel savings. However, Matheson said aerospace firms will not make a commitment to scandium alloys until supply increases and diversifies. “Today’s reliance on China for rare earth supply, and Russia for aerospace grade titanium, has made the aerospace industry cautious to the point of aversion about further exposure to critical material supply from these two countries,” he said earlier this month. Clean TeQ notes that the updated resource estimate for Syerston indicates that cobalt production during the first 10 years of the project’s life could increase compared to production forecasts made in the PFS. Cobalt output could reach an annual average of about 5,000 tonnes per year with the same ore feed throughput of 2.5 million tonnes per year. The firm is currently completing a definitive feasibility study (DFS) for Syerston, but has said that in order to take the new resource estimate into account it will complete the study in 2018 instead of Q4 2017 as originally scheduled. Clean TeQ’s share price was up 12.02 percent on Tuesday, trading at AU$1.30. Year-to-date the company’s share price has risen an impressive 155.88 percent.